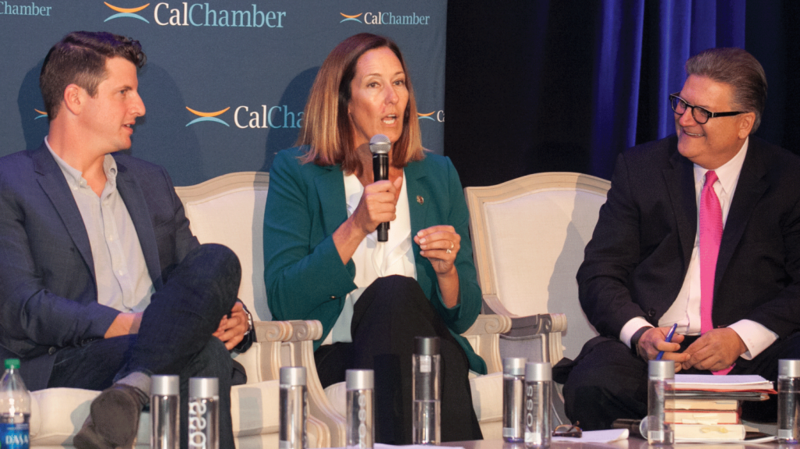 The challenges of policy decisions affecting technological innovation and consumer privacy is the subject for Senator Henry Stern (left), Assemblywoman Jacqui Irwin and Senator Bob Hertzberg at the 2017 CalChamber Public Affairs Conference. 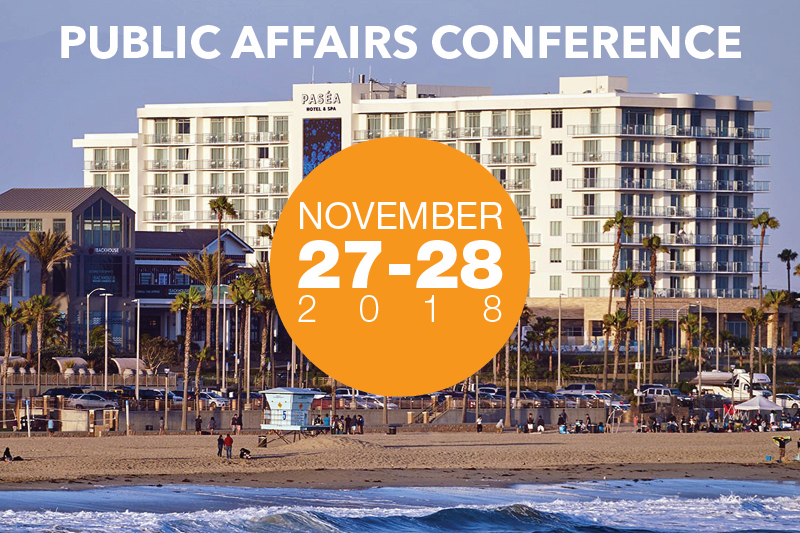 Below is a sampling of photos from the second day of the 2017 California Chamber of Commerce Public Affairs Conference in Santa Monica. 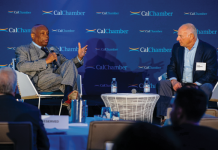 Photos from the first day of the October 17–18 conference appeared in the October 20 Alert and at www.calchamber.com/publicaffairs. See #PAConference17 for tweets posted during the conference. Special thanks to major sponsor Google; gold sponsors Kaiser Permanente, PepsiCo and The Walt Disney Company; and silver sponsors BNSF Railway and Boeing. Jennifer Duffy, senior editor of the Cook Political Report, shares insights on key national state races and rates President Donald Trump’s performance in his first year on the job. (From right) Moderator Nina Easton, chair of Fortune’s Most Powerful Women International, and panel guests Trent Duffy, HDMK; Tracy Sefl, strategic communications consultant; and Mattie Duppler, Forward Strategies, discuss pressing national policy issues, such as tax reform, modernization of NAFTA and immigration reform. A legislative panel reviews the state’s biggest problems. (From left) CalChamber President and CEO Allan Zaremberg, moderator; Assemblyman Al Muratsuchi and Senator Scott Wilk. Senator Steve Glazer, and Assemblymen Vince Fong and Adam Gray. Discussing the challenges of making policy decisions that affect technological innovation and consumer privacy are (from left) CalChamber Policy Advocate Kevin McKinley, moderator; Assemblyman Kevin Kiley and Assemblywoman Catharine Baker. 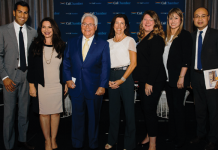 (From left) Beth Miller, Miller Public Affairs Group, moderates as Carla Marinucci, Politico, and Seema Mehta and Mark Barabak of the Los Angeles Times discuss California races and presidential current affairs.